BCL Chat: What New Release Are You Most Excited About? 1 Comment on BCL Chat: What New Release Are You Most Excited About? Between hosting Mocha Girls Read for a bonus episode, hosting our #QueenSugar live tweet event and getting a makeover, we haven’t been keeping up with the fall’s new releases. So, we asked you what upcoming titles you were most excited about. And, boy, did you all deliver! We’ve got a ton of great new titles to check out for the upcoming year. Thanks to @charelliam, @Everywoman98, @ClassyGreen, @IamTammiJ, @Author_DLWhite and @LocPressedBooks for contributing! Read Bluebird, Bluebird by Attica Locke and join us for our next episode. 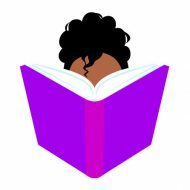 And don’t forget to rate, review and subscribe to Black Chick Lit on iTunes. Ok finally heard my shout out! Wooohoo. Love love the Twitter book drama. Mona don’t have nothing on us. Also can I say I can’t wait for Sing Unburied Sing by Jesmyn Ward. You have to put that on the list.